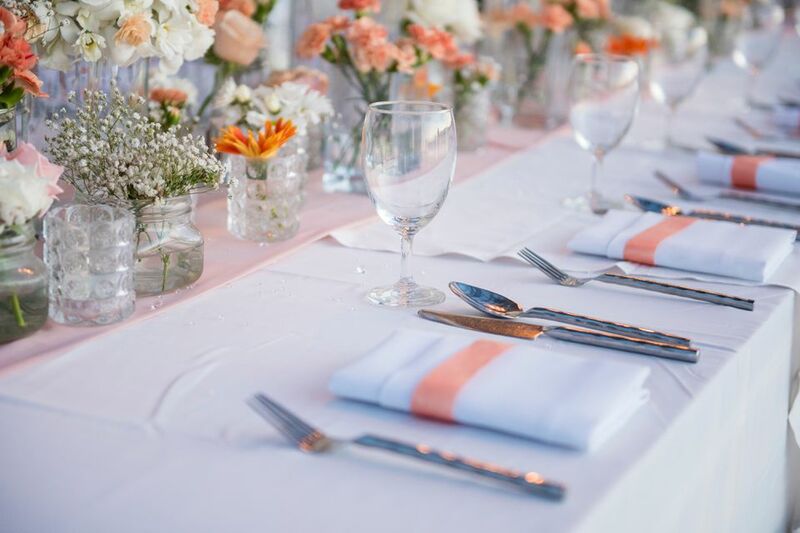 Entertaining is so much easier when tablecloths, table runners, cloth napkins, and place mats are ready to use. Even for heirloom linens that we use only a few times each year, you can keep them looking their best by washing, ironing and storing them correctly. Not all tablecloths are cotton or linen these days. All newer table linens have a care tag with instructions on how to wash them. For older tablecloths with no labels, you can not go wrong by hand washing in cool water or in cool water on the gentle cycle of your washer. Take care to rinse thoroughly, especially if you hand wash an item, to remove all detergent and never use a fabric softener which can cause discoloration during storage. It is important to care for the specific type of fabric including those with beads and fancy trimmings. Table linens catch all the drips and splashes. Always check the fabric for stains before washing. Some stains may not be visible but can provide food for mildew or insects. Refer to a stain removal chart to help with specific food stains. Learn how to treat common tablecloth stains and how to spot treat for easier cleaning. If you have a white cloth that has yellowed or become dingy or a colored cloth that needs brightening, follow steps to remedy the situation before you iron or store the linens. The first step for is to mix a solution of warm water and oxygen-based bleach (brand names are: OxiClean, Nellie's All Natural Oxygen Brightener, or OXO Brite). Submerge the linens and allow them to soak overnight. Then wash as usual. These steps are safe to use on cotton, linen and synthetic fibers. An oxygen bleach soak can be used for hand-painted linens if the paint has been set properly. You can also add laundry bluing to the wash or rinse water to make white linens appear brighter. Just follow the directions on the bottle. If you've selected permanent press fabrics you can skip much of this section. But even those fabrics get some wrinkles if you store linens crammed in a drawer. A few tips on ironing will help you have a lovely table and a smooth meal! Before you begin, make sure that the soleplate of your iron is clean. If you’re using a steam iron, test it on an old cloth to be sure that there are no mineral deposits being left by the iron. Those droplets will cause brown staining. Use a well-padded ironing board with a smooth heat-reflective cover. If you don't have an ironing board, follow these steps. The linens should be slightly damp for easier ironing. Press them until they are smooth but not completely dry and allow them to finish drying in the air. Start with the wrong side of the cloth first, pushing the cloth section by section over the board as you iron. Turn the cloth over and finish by pressing on the right side of the cloth. Starch or Sizing? If you like to fold napkins into fancy shapes, you’ll need to use starch and a hot setting on your iron to get the crispness you need. For a softer look, use spray-on sizing and iron on a medium setting. For light-colored linens, iron on the wrong side first, then on the right side to bring out the sheen. On dark-colored articles, iron on the wrong side only. Many napkins or placemats have monograms. To keep the stitched monograms looking crisp and smooth, iron with the design face down against a thick, terry towel. The soft texture will prevent the monogram from being flattened. The towel should be white or colorfast. After ironing the monogram face down on the towel, finish by pressing the right side of the napkin but iron around the monogram. Do not fold or store just ironed linens. They should be kept spread out flat and smooth for some time to dry completely. When the linens are dry, hang over a padded hanger to prevent wrinkles or store flat. Place your ironing board near a table when ironing large items such as tablecloths. Roll finished sections of the cloth over the table rather than letting it pile up under the ironing board. If you are concerned about the cloth getting soiled if it puddles on the floor, place a clean white sheet under the ironing board. Always wash or dry clean linens before storing and check each piece for stains. Some stains may not be visible but can provide food for mildew or insects like silverfish. And, be sure the linens are completely dry before you store them. Moisture means mildew. Store linens in a cool, dry, well-ventilated area. Wrap them in acid-free tissue paper, not regular tissue paper. The acids in regular tissue paper can yellow white linens. Use the tissue between folds to soften edges; any crisp creases can weaken fibers..
Never store linens in plastic bags, cardboard boxes or in direct contact with cedar chests or any wood drawer. Fumes from petroleum-based polyurethane plastic boxes and wood acids can yellow or weaken the fabrics. Place heavier pieces like place mats on the bottom, then fabric tablecloths and napkins and place lace pieces on top of the stack. It is better to store linens that have not been starched because starch can attract insects. At least twice per year, refold the linens to prevent continued stress on any one area. The best way to prevent wrinkles for permanent press or freshly ironed linens is to hang them on padded hangers in a closet. Hang only one cloth per padded hanger and leave plenty of room between hangers so air can circulate. You can also use an over the door hanger and pad the rods for long term storage. NEVER cover the the linens with a plastic bag. It can trap moisture and cause a chemical reaction that can discolor the linens. Instead, cover the hangers with a white 100 percent cotton sheet or pillowcase. You can also prevent wrinkles by rolling the linens around a cardboard tube. If they will be stored for more than a week or so, make sure that the cardboard is acid-free to prevent staining. With proper care, linens can last for many generations to come.